The “Belarus Democracy and Human Rights Reauthorization Act of 2011” (H.R. 515) initially passed the House by a voice vote on July 6, 2011, passed by the Senate under Unanimous Consent and voice vote with minor changes on Dec. 14, 2011, and passed the House in a final voice vote Dec. 20, 2011. The bill reauthorizes the “Belarus Democracy Act” (P.L. 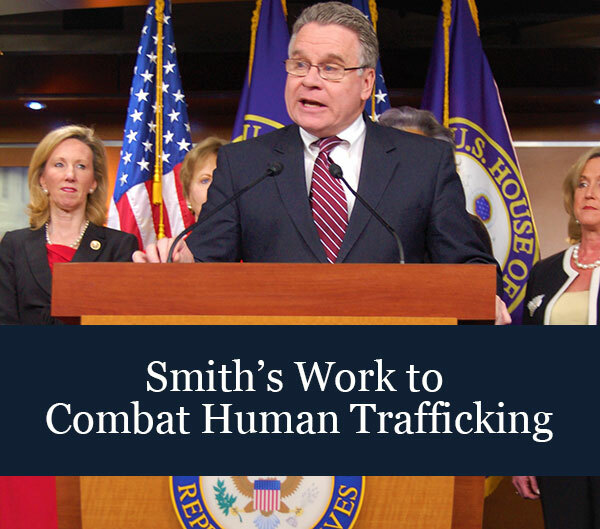 108-347) which Smith authored and passed into law in 2004. P.L. 112-82 authorizes the denial of U.S. entry to members of the security or law enforcement services who have participated in the crackdown on opposition leaders, journalists, and peaceful protesters or in the persecution of religious groups or human rights defenders. The law adds to the existing criteria that the government of Belarus must meet in order to end U.S. sanctions: (1) release of individuals who were jailed based on political beliefs or expression in connection with the repression that attended the December 2010 presidential election; (2) prosecution of senior leadership of the government of Belarus responsible for violations of human rights violations, including human rights violations in connection with the presidential election; (3) withdrawal of politically motivated legal charges against opposition activists and independent journalists in connection with the presidential election; and (4) holding free and transparent presidential and parliamentary elections consistent with Organization for Security and Cooperation in Europe (OSCE) standards and under OSCE supervision. The bill authorizes the denial of U.S. entry to members of the security or law enforcement services who have participated in the crackdown on opposition leaders, journalists, and peaceful protesters or in the persecution of religious groups or human rights defenders. The law expresses the sense of Congress that the President should continue to support radio, television, and Internet broadcasting to the people of Belarus in languages spoken in Belarus by Radio Free Europe/Radio Liberty, the Voice of America, European Radio for Belarus, and Belsat. The law requires that the President's annual Belarus report to Congress include information about government of Belarus cooperation with any foreign government or organization related to Internet censorship or surveillance or the purchase or receipt of any technology or training for such purposes.